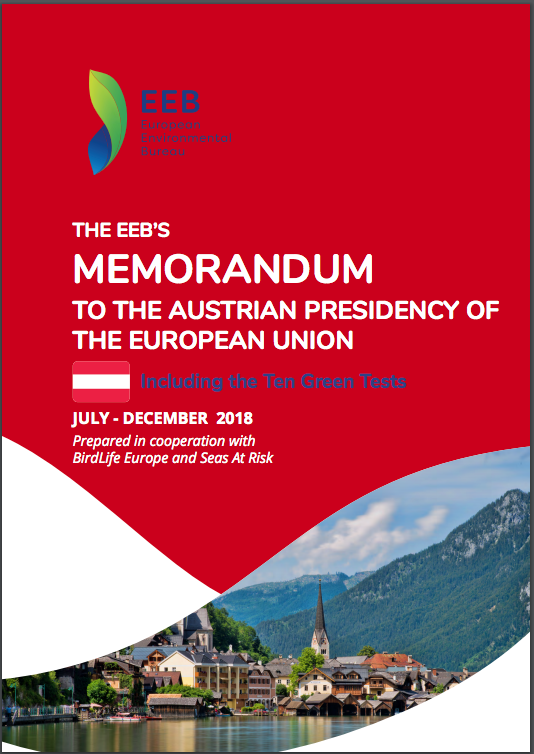 This Memorandum reflects on the issues that the EEB would like to see advanced during the Austrian Presidency. (*) REACH review: Agree council conclusions on concrete actions for improvement and timelines. (*) Maintain leadership on the Minamata Convention on Mercury and ensure implementation in the EU.